This adult Batman kit is the perfect way to create a quick and easy Batman for Halloween, superhero themed costume parties, and comic book conventions. Batman is a superhero in the DC Comics universe. He watches over Gotham City fighting villains including The Penguin, The Joker, and The Riddler. 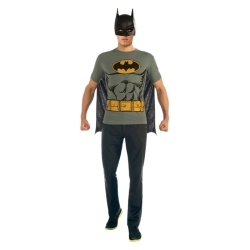 The adult Batman kit is colored as pictured. Kit includes Batman t-shirt and mask. 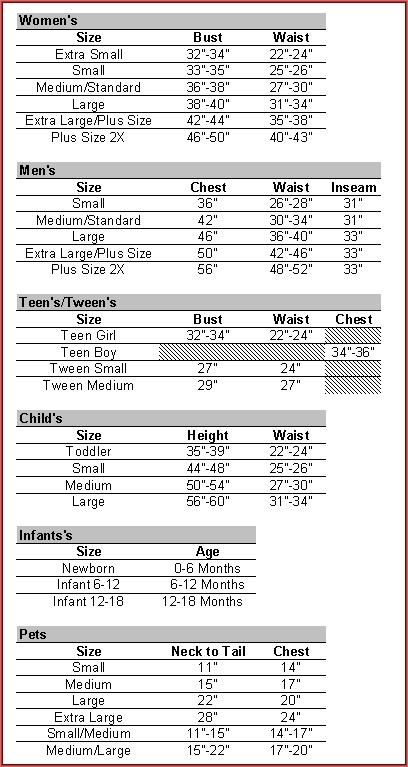 Costume kit is available in adult men's size medium, large, or extra large.